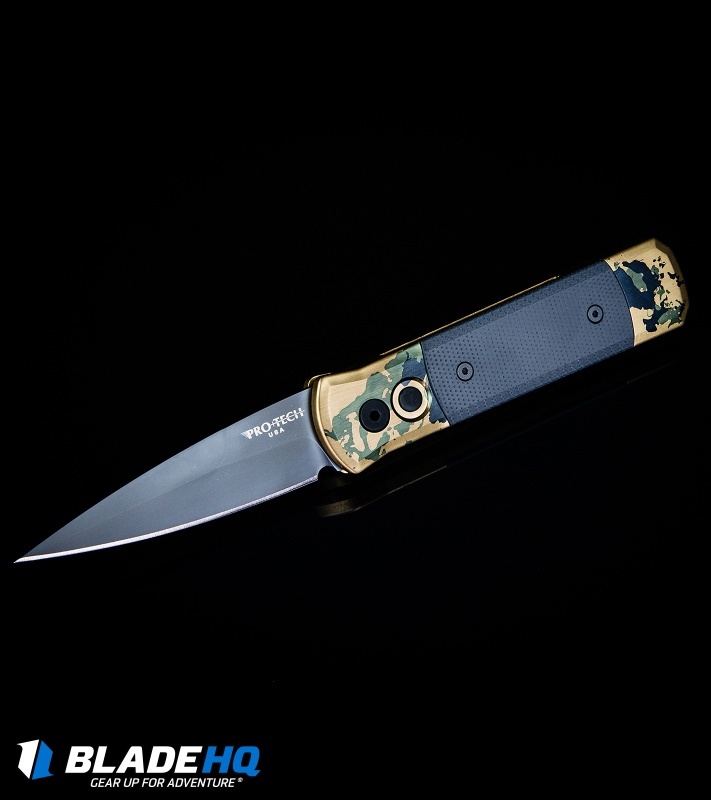 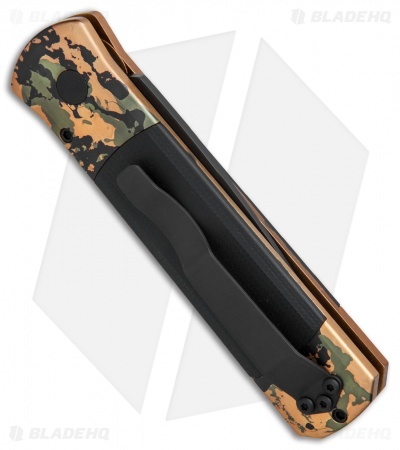 This Blade HQ exclusive Godson model has a black finished 154-CM steel blade and a custom camo handle with black G-10 inlays. 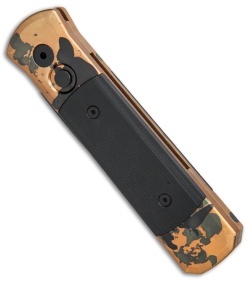 Black finished hardware and a secure black pocket clip complete the solid Protech design. Like father, like son. 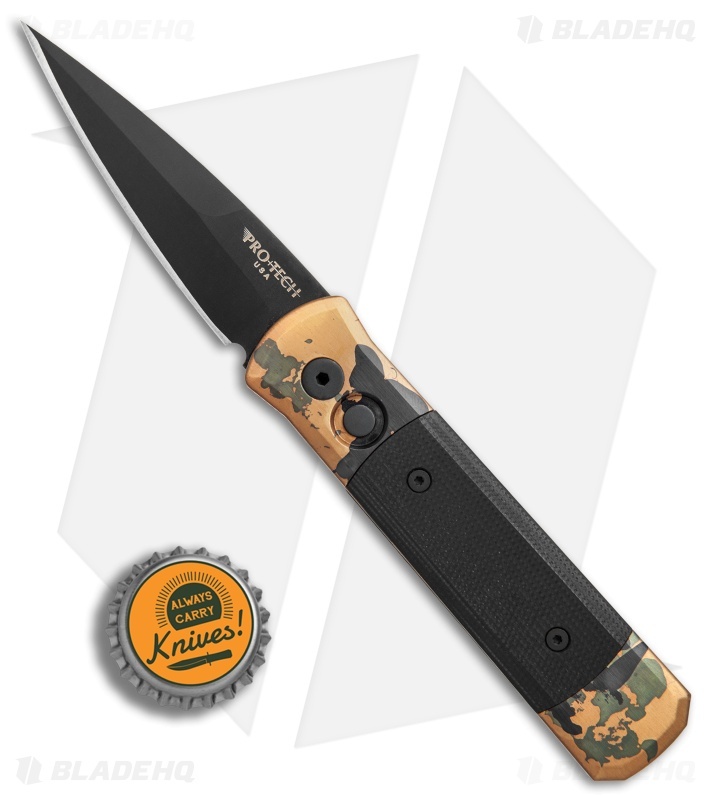 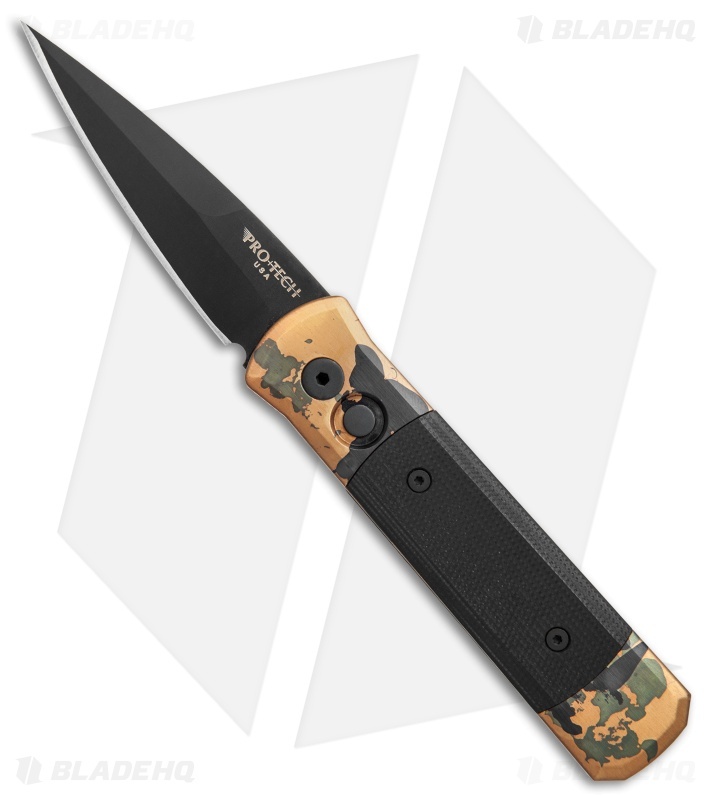 The Godson from Protech is a smaller version of the Godfather knife with the same Italian inspiration and American innovation. The Godson features incredible coil spring action that is strong and lockup that doesn't disappoint. 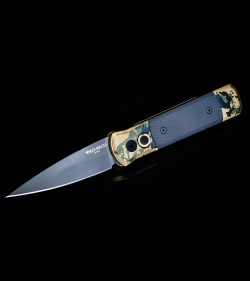 The Godson is available in a wide array of materials and colors.